Officially, the Huntsville/Madison County Convention & Visitors Bureau (CVB) is the destination marketing organization (or DMO) for the Huntsville area, including Huntsville, the city of Madison and all other attractions and offerings throughout Madison County. However, we like to think of ourselves simply as your tour guide to Huntsville. It is our job to help create and support economic growth by highlighting Huntsville and Madison County&apos;s attributes to visitors, meeting planners, business travelers and convention-goers. If you want or need to travel, we want to tell you why you should visit Huntsville! And we offer free services to make that trip, conference, wedding, sporting event, family reunion—or whatever else may bring you our way—the best travel experience it can be. We’re a non-profit 501(c)(6) organization funded from dedicated lodging tax. We’ve been around since 1970 as the official city/county agency promoting the area as a convention and visitor destination. Our annual operating budget is around $2 million. We have 15 full-time staff members and a nine member board of directors. We serve locals too – just because you live here doesn’t mean you can’t take advantage of Huntsville vacation packages, deals or coupons. Stop by the Visitor Center at 500 Church Street NW in downtown Huntsville to learn more! Want to talk to us? We certainly want to talk with you. Our administrative offices are open Monday through Friday, 8 a.m. to 5 p.m. Central Standard Time. You can visit us in person at the addresses below, or you can reach out through your preferred mode of communication. 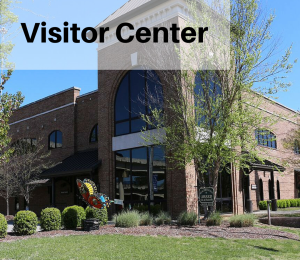 Downtown Visitor Information Center Hours: Monday through Saturday, 9 a.m. to 5 p.m. and Sunday, noon to 5 p.m.
HSV Visitor Information Center Hours: Monday through Saturday, 9 a.m. to 5 p.m. and Sunday, noon to 5 p.m.
All of our locations, including both Visitor Information Centers, are closed on Easter Sunday, Thanksgiving Day, Christmas Eve, Christmas Day and New Year&apos;s Day. Meet your tour guides to Huntsville, Alabama. Whether you are planning a convention, a trip with the family, or booking a venue for a wedding or family reunion, we’re here to help. ---> Click here for the full staff directory. We are governed by a nine-member board of directors, representing diverse perspectives from all over the area. The board of directors meets monthly every third Monday at noon, at the Huntsville/Madison County CVB administrative offices in second floor conference room. ---> Click here to get to know our board. We’ve got space! (And we&apos;re not just talking about the space center!) Contact us for space for your next convention, conference or meeting. ---> Click here to get to know our Convention Team. Or suggest an itinerary to best immerse you in our relaxed Southern charm and hospitality. We’d also love to help you spread the word about your experience, so let us know what you’re working on and we’ll share it through our channels to help you gain exposure on your piece. After all, we’re here to promote all things Huntsville – and if you’re talking about our city, that means promoting you, too! When getting social, search for and use #iHeartHsv for maximum visibility. ---> Click here to get to know our Marketing Department. Although it&apos;s known as one of the top places in the U.S. to live, Huntsville is also a great place to visit. You have many options for where and how to spend your time. Interested in family-friendly excursions or museum? Check. Up for an outdoor adventure? We have multiple options. Just want to wind down and enjoy some live music or a dining experience? We’ve got those too. We also have resources to help you make the most of your trip. You can download a visitor’s guide or you can simply ask one of the friendly faces below for assistance. ---> Click here to get to know our Tourism Department.